Our New Lil Piggy Snack Pack is gecko tested and approved by our own leo, "Lil Piggy"! 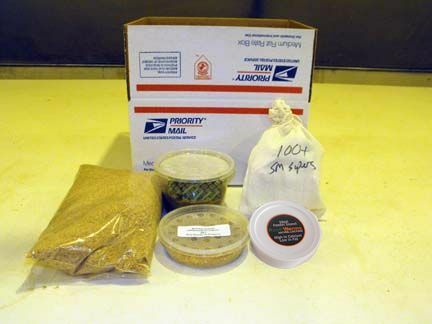 1 cup small hornworms, 25 butterworms, 1 cup (100) medium black soldier fly larvae, 100 small superworms, 1 lb. wheat bran (bedding/ food for supers).